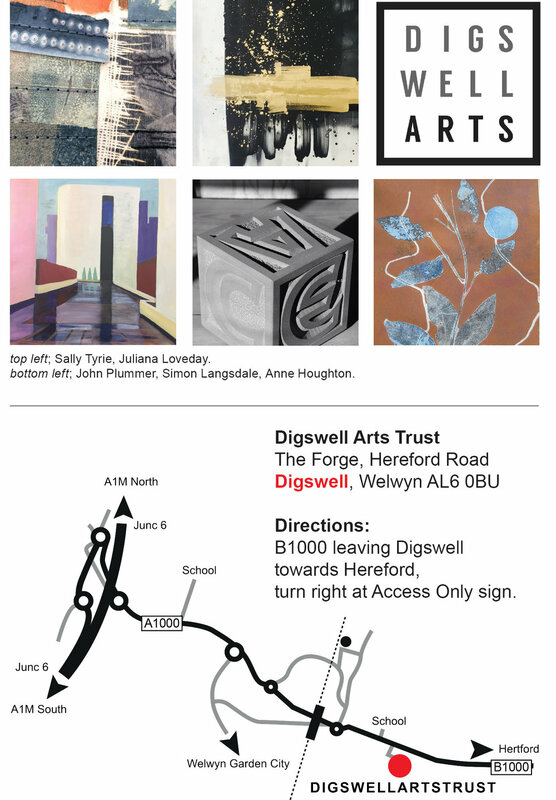 I'll be at Digswell Arts on Friday 1st June for the PV and on Sunday 3rd June, along with fellow artists and printmakers. On both days you'll be able to meet and chat with a large number of the artists and see their studios. We have also invited the Wi to sell tea / coffee and cakes. I'll also be opening my own studio at Waterhall Farm, in Whitwell along with 4 of my fellow artists on the same site on Saturday 9th June and Sunday 10th June. The artists at Langley End Studios, just up the road, are also joining us and opening their studios on Saturday 9th June. Times for both events are 11 am to 4pm. more specific details and images to follow soon.